Meet Rikki, the little kaiju who just loves to build things. 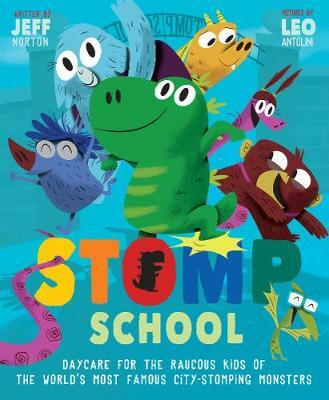 Find out what happens on his first day at Stomp School, where he is in for a few surprises! Every parent will identify with the universal themes of creativity and destruction in this die-cut novelty book.